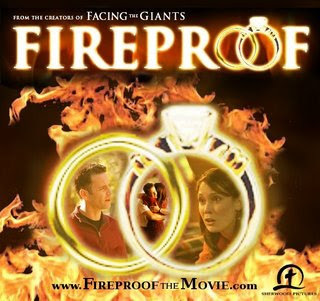 Robert and I watched Fireproof (The Movie) last year and loved it. It is an inspirational film produced by Christian filmmakers wanting to make a difference in how people view marriages – especially in times when a situation requires clinging to God in order to make it work. Whether you are married, engaged, in a relationship or single – this movie will speak to your heart. It is now out on DVD but, trust us, watching it on the big screen will be a more rewarding experience. Michael Foust said: "I walked into the theater without any expectations, but walked out after the closing credits believing I had just seen perhaps the most convicting and inspiring film I had ever viewed. Fireproof isn't just a great Christian movie. It's a great movie. Period." We are currently selling tickets to a one-time screening of Fireproof. If you would like to watch it, please send me a private message or text me. I really hope you don’t miss the chance to see it.